Registration for the 12th annual ACVO/StokesRx National Service Animal Eye Exam Event is open April 1 - 30th for qualified Service & Working Animals. Thank you for helping your Service Animal owners benefit from our ophthalmologists' free eye exams; as of the 2018 event approximately 67,625 Service and Working Animals have been screened. The ACVO is dedicated to working with referring practitioners as a team and will support your annual general care. 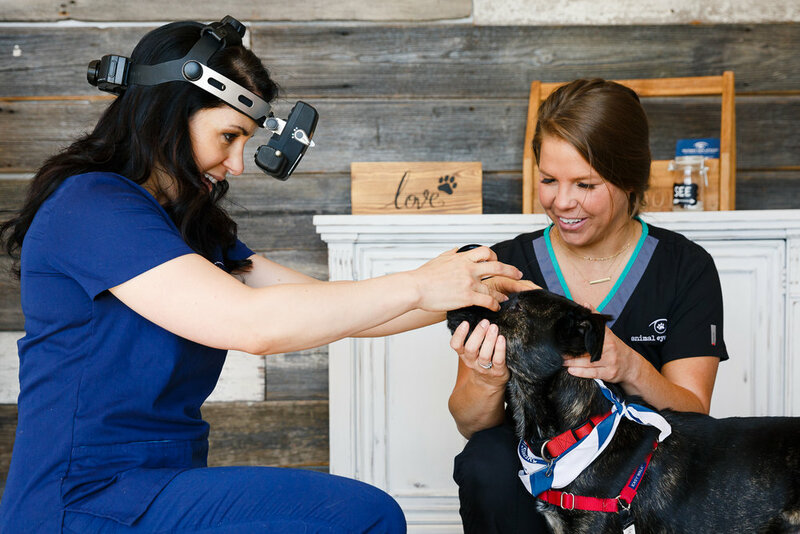 Consider referring your Service and Working Animal clients to this annual event and the ophthalmologist will provide a copy of the examination results on to the client, which you may wish to add to the client's file. The goal is to screen these animals annually and provide you with the information you need to determine in-house treatments and/or watch for a time when a referral may be needed for expanded treatment. If you know of a client who may qualify and benefit from the program, please provide them this web site or Facebook link. Consider 'liking' the event on Facebook through your clinic Facebook site to help spread the word. We also have some tools you may wish to use, banner ads, press releases, etc. Registration occurs during the month of April annually, exams are held in the United States, Canada and Puerto Rico during the month of May. Here is a quick summary, printable one page document, that will introduce you and your staff to the program. View the program PSA. More information about qualifications and FAQs are available throughout this web site. Contact us if you have questions. THANK YOU!